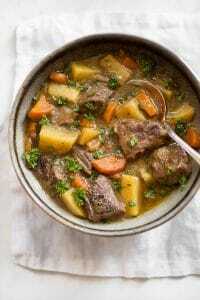 This Instant Pot Irish stew has a rich and hearty Guinness sauce, melt-in-your-mouth meat, and tender carrots and potatoes. This tasty beef stew has that slow-cooked taste with a fraction of the time and effort! 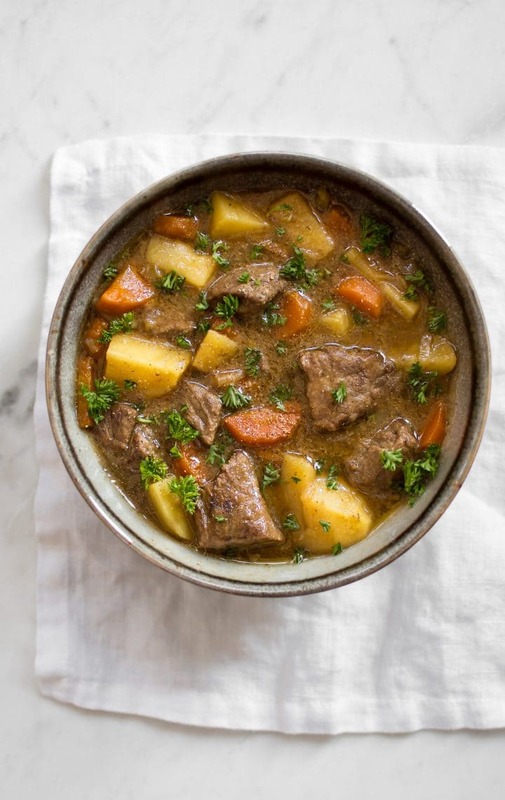 This easy Irish stew recipe would, of course, be perfect for St. Patrick’s Day, but it’s also good anytime you want a simple stick-to-your-ribs kinda recipe. Hello winter comfort food! I kept this Instant Pot stew fairly simple. It seems like every recipe has a slightly different twist, so it’s hard to know what exactly is traditional. I’ve seen many Irish stew recipes with lamb, but this one has beef. I also included potatoes, carrots, celery, onions, garlic, and, of course, the Guinness. How do you make stew with Guinness beer? It’s really simple. I replaced other liquids you could use (such as beef broth) with the Guinness. It forms an amazing sauce. 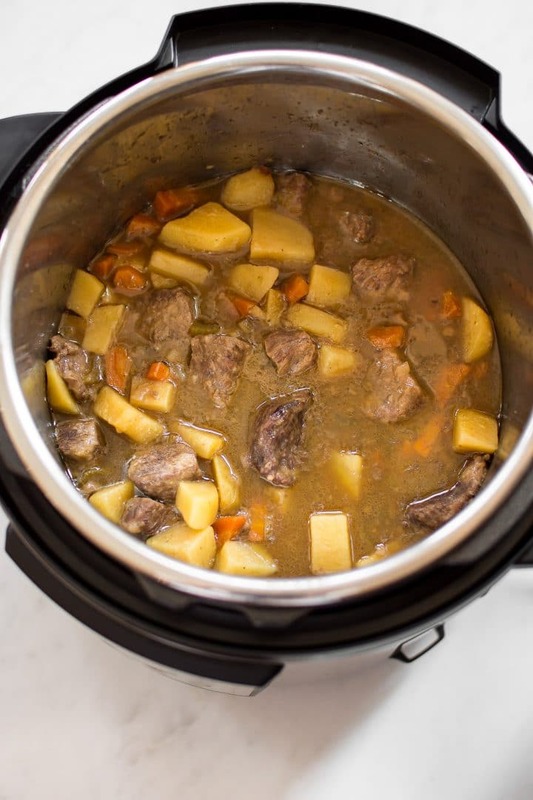 How do you make beef stew in an Instant Pot? Sear the meat on all sides in two batches; remove the beef from the Instant Pot. Sauté the onions for 2-3 minutes. Add the Guinness, Worcestershire sauce, and garlic powder to the Instant Pot. Scrape up any brown bits into the sauce. Add the meat back in, along with the remaining ingredients. Cook on high pressure for 35 minutes. Either do a quick pressure release or let the pressure release naturally. Can you taste the Guinness in this electric pressure cooker stew? Yes. I don’t drink stout beers (I find them too bitter), but I really enjoyed this beef and Guinness stew. You can taste it, but it just works. The flavor is deep and rich. You may also like my Instant Pot classic beef stew or my slow cooker beef stew. 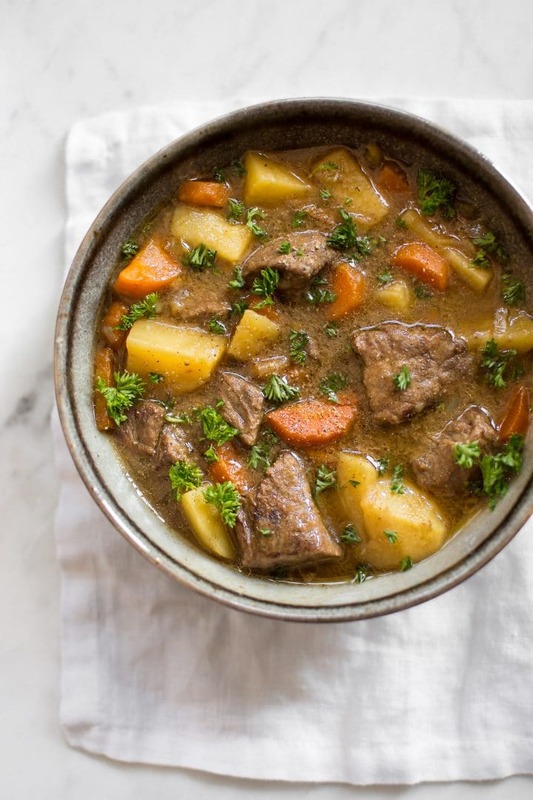 Will you give this Instant Pot Guinness stew recipe a try? Sprinkle your beef with salt & pepper and dredge each piece in flour. Heat the oil in your Instant Pot on the "sauté" function. When hot, add the beef. I do 2 batches and brown each batch for about 5 minutes total (I use tongs to ensure all sides of the beef get browned). You may need to add more oil in the second batch. Once the second batch of beef has browned, take it out of the Instant Pot. Add the onions in and sauté them for 2-3 minutes. Add the Guinness, Worcestershire sauce, and garlic powder to the Instant Pot. Using a wooden spoon, scrape up any brown bits into the sauce. Add the meat back in, along with the potatoes, celery, and carrots. Close the lid and make sure the valve is on "sealing". Cook on high pressure for 35 minutes. You can let the pressure naturally release once the countdown has finished, but you can also do a quick release if you're in a hurry (I did). Season stew with extra salt & pepper if needed. Serve immediately. It also freezes well and makes great leftovers too. Want more St. Patrick’s Day recipes? You may also like my Irish whiskey pork chops or my Instant Pot colcannon recipe. 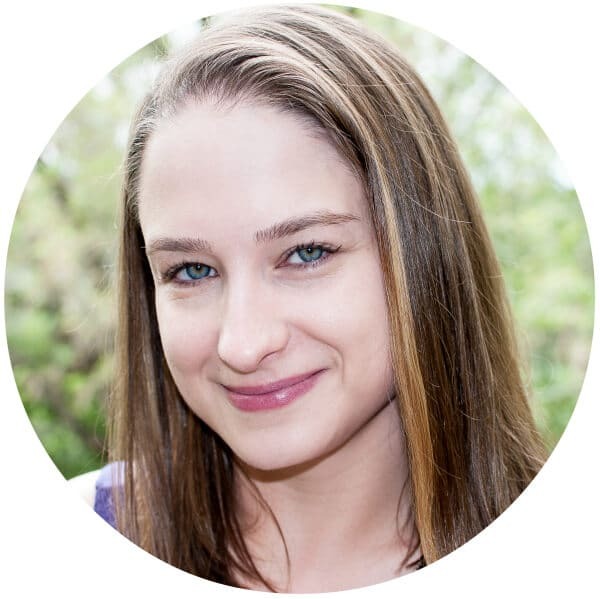 Hey, my family greatly enjoyed the stew- I feel like, quite often with instant pot recipes, stews tend to end up more like soups- but not this one. Also, just wanted to give you a heads up that you don’t have the amount of onion listed in the ingredients. Thanks for the recipe! Hi! I usually just buy the standard sweet onions (white). White/Spanish ones would work too… I think they’re labeled differently depending where you live, so any of those would work. Hope you like the recipe! I used dried minced onion & worked fine! Goodrecipe. It’s in the pot for second time this week. Is there any alternate option for beer?? Hi! Hmmm the beer is the main component in here, so without testing, I can’t suggest an alternative unfortunately. Maybe try my crockpot stew instead?